So I jokingly said when I was getting packed to do my 4th 70.3 distance event, "if I haven't figured this stuff out yet I don't know when I will." 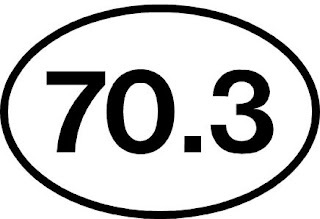 I recently had a few friends doing their first 70.3 distance event and I have other friends prepping for their first this year. I realize after doing a few of them I have a few tricks and pointers I have picked up along the way, some of them my coach gave me before my first and some are just learned (some the hard way). 1. TRAIN- it is a long day and training is what will get you through it. Not only physically but mentally. This doesn't mean you have to spend tons of money on a coach but it does mean put some thought and effort into following a training plan. 2. FUEL- it will make or break your day. It is best to go into the day with some practice of what you are going to eat and when. That way when you get to the show you have some idea of what you are doing and won't have to think too much. I always stash a couple extra gels in my back pocket at the start of the day (yes I swim with them back there in a wetsuit) to be sure in case anything happens I have them. 3. NUTRITION- your race day fueling is only part of the battle. Make sure in training you are sticking to a good nutrition plan. Race week limit fiber intake. And know your nutrition plan for the race weekend, race morning being super key. 4. IT IS A LONG DAY. I was telling those friends getting ready for their first that you will go through every emotion and every ache and pain but just know in about 5 min whatever you are thinking or feeling it will go away and you will be focused on the next thing. My coach put it to me this way before my first- figure you are going to be racing about as long as a school day for a kid. Think about how many emotions and how much you went through over the course of a school day. 5. BATHROOM BREAKS. So in your shorter distances you may or may not use the bathroom once you start, generally I don't. But in a longer event like this you will most likely (and hopefully) have to go at some point. It is perfectly acceptable to go on the bike while riding, it requires some relaxation and flat road (I've done it). Also- it is key to know whether that feeling in your tummy is more fuel that you need or do you really just need to hit that next porta john. Also- plan your race kit accordingly to deal with bathroom breaks. 7. RACE PLAN. My coach has me do them before any A-race. They really help me think through packing and my plan for the day. Sometimes I start with taper week and my plans for sleep and training, through travel. At least set one up with race morning, what time to get up, what you are going to eat, then take you through race day. With the swim I usually put some idea of time I want to hit turn buoys. Bike I give myself the goal pace I would like to stay on. And same with run. I put in my mental tricks I have planned, I put in my fueling strategy. I even write down the plan to get me through transition. 8. Practice in your RACE KIT. I always try to do one of my last bricks in what I plan to wear race day- especially if you haven't worn it for that distance before. You never know if what you think is the perfect race day top may leave a chafe spot till you wear it that long. Make sure you know what gear, shoes, clothes, and visor/hat you will wear and give em a test drive. 9. BRICK TRAINING- It is essential to every triathlete. Knowing how to make that switch after a LONG ride makes all the difference. Your brain will switch to autopilot and it is good to have the muscle memory to rely on come race day. The runs off the bike don't have to be super long even if they are just 10-20 min just get yourself to go through those motions. 10. Biggest of all- have fun! RELAX! Its your first! There is no expectation of time to beat. Just go in with the goal to finish! Set yourself up for success. 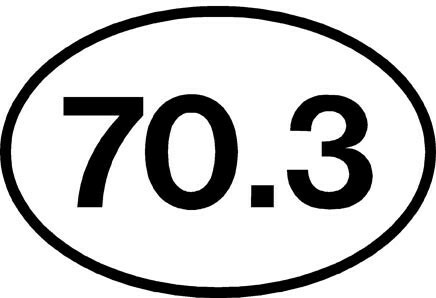 Thanks so much to some of my friends who have done a 70.3 or 2 and provided some of their thoughts for first timers, Greg, Jen and Lisa! Great tips Juls! Personally the fuel, mental training, and brick workouts were the most important to me. Good luck to your friends competing in their first!